Review Copies Available: Making Bad Choices by Rita Stradling! Review Copies Available: When Planets Fall by Abby J. Reed! Review Copies Available: Future Leaders of Nowhere by Emily O'Beirne! Blog Tour Kick-Off: She's Like a Rainbow by Eileen Colucci! Blog Tour Kick-Off: Return to Autumn by John Richards! Book Blitz Sign Up: Code Red (Faith Flores Science Mystery #2) by Janie Chodosh! Book Blitz Sign Up: SeQuence Aligned (The Heart of the Ocean #2) by Lorraine M.L.M.! Blog Tour Sign Up: Fade Away by Jeremy T. Ringfield! Blog Tour Kick-Off: Jadeite's Journey by Lucinda Stein! Blog Tour Kick-Off: The Unwanted by JeanNicole Rivers! Blog Tour Kick-Off: When Ash Rains Down by Cecelia Earl! Blog Tour Kick-Off: Living in the Shallows by Tani Hanes! Blog Tour Kick-Off: Journey to the Rift by Cathi Shaw! Audiobook Blog Tour Kick-Off: Anomalies by Sadie Turner & Colette Freedman! Social Media Blitz: When Darkness Falls by Chanda Stafford! Review Copies Available: ProtoStar by Braxton A. Cosby! Cover Reveal: Rose Petal Graves by Olivia Wildenstein! Review Copies Available: A Fantastic Mess of Everything by Beck Medina! Blog Tour Kick-Off: Capturing the Captain by C.K. Brooke! Blog Tour Kick-Off: Eternal Darkness by J.F. Johns! Trailer Reveal: The Edge of Brilliance by Susan Traugh! 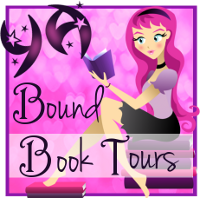 Book Blitz Sign Up: Journey to the Rift by Cathi Shaw! Social Media Blitz: Remnants of Yesterday (Broken by the Sea #3) by Ava Wood! Blog Tour Kick-Off: Remnants of Yesterday (Broken by the Sea #3) by Ava Wood! Review Copies Available: Second Chronicles of Illumination by C.A. Pack! Audiobook Review Copies Available: The Alienation of Courtney Hoffman by Brady Stefani!